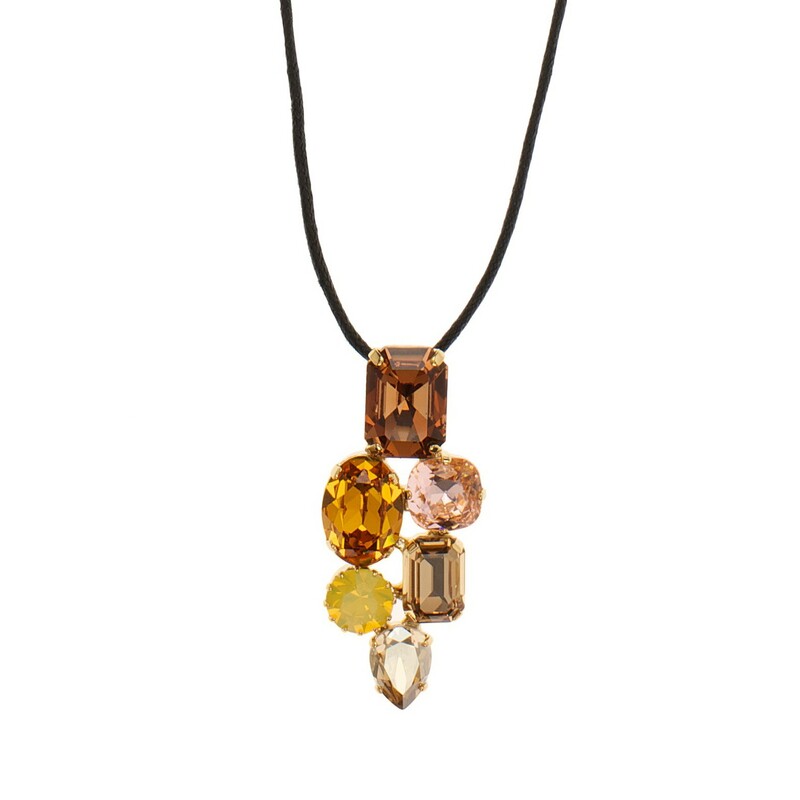 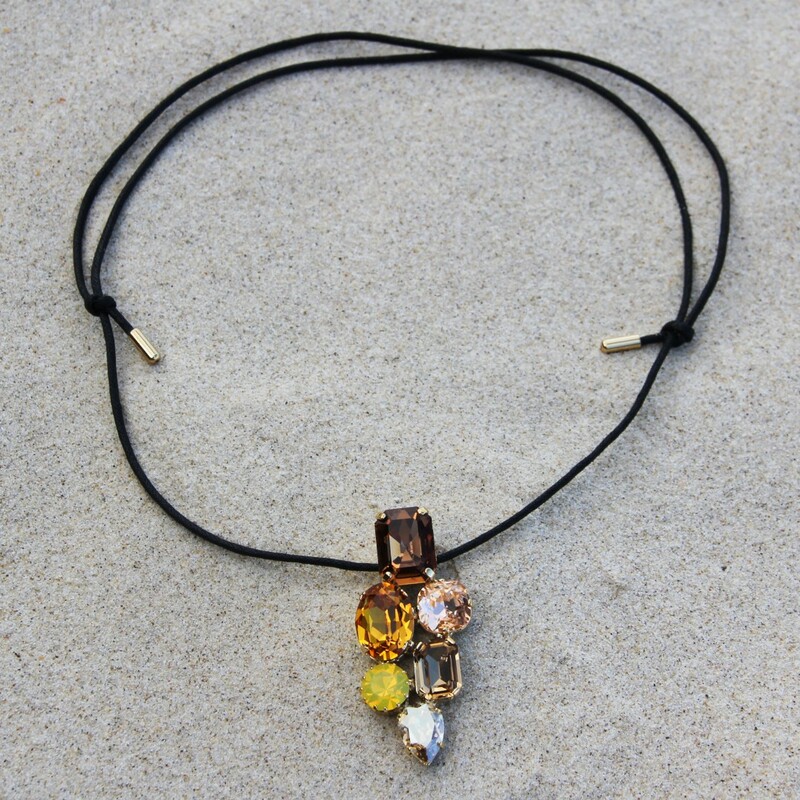 Martine Wester's Topaz craze crystal necklace is a Limited Edition and we have only one left. 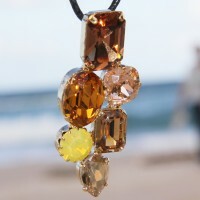 Beautiful assorted sized and topaz coloured hues of European crystals. 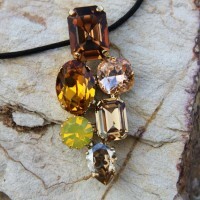 Comprising of Swarovski, Austrian and Czech Crystal. 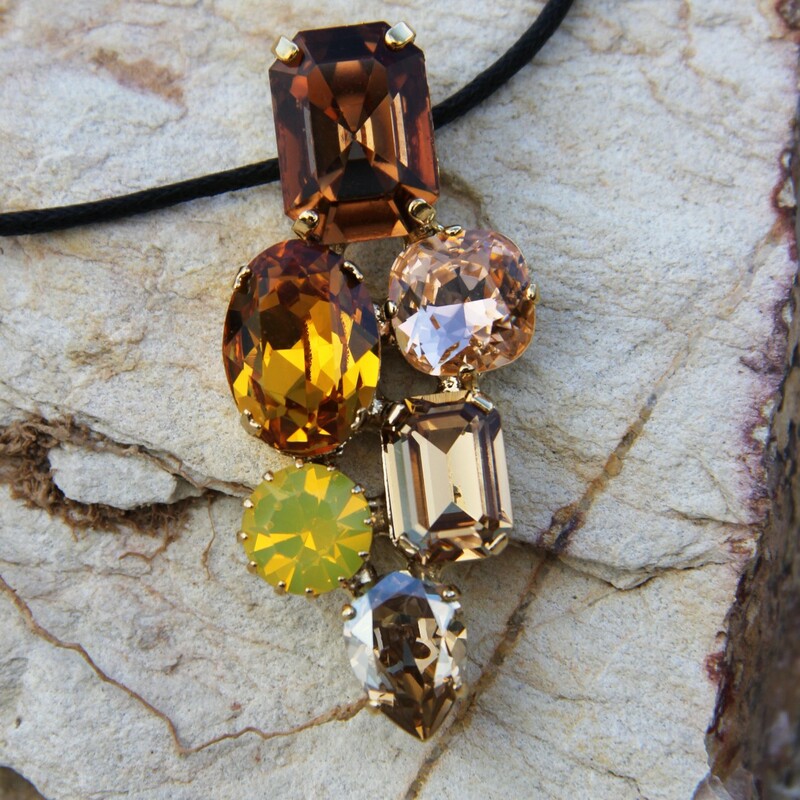 The topaz crystal cluster pendant is a maximum length and width of 63mm and 26mm respectively. 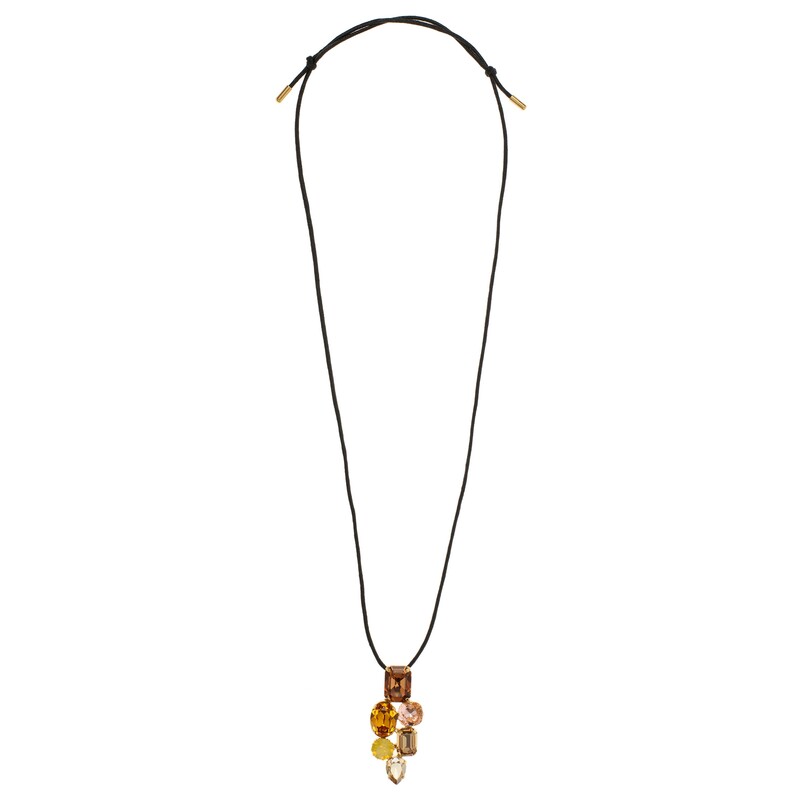 A leather strap gives adjustable sizing up to 780mm long (wearing length). 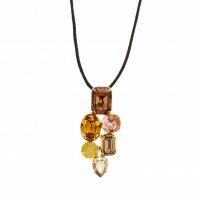 This beautiful necklace has a very casual yet smart feel. 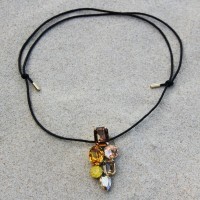 A matching necklace is also available which together would make a lovely gift. You're reviewing: Martine Wester, Crystal Craze,Topaz Pendant Necklace, Limited Edition, European and Austrian Crystals Gold Plated.